This Argyll was manufactured at the Alexandria works in 1910. A farmer adapted it for use as a bandsaw. He altered the rear to accommodate the saw itself, which was driven by the engine. 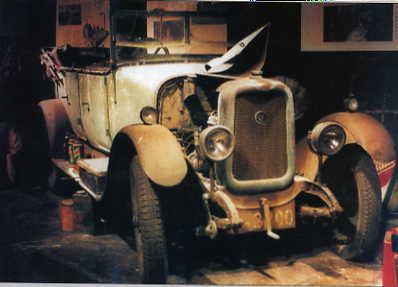 The car was rescued in 1965, escaping neglect or destruction. It was restored in 1985 by its present owner, whose father leased Argyll cars as part of his garage business and bought the car from the nephew of the last manager of the Argyll service department in London, which closed just before the Second World War (1939–1945). In the early years of car manufacture, a customer chose a body to suit a selected chassis – pick ‘n’ mix. A streamlined Landaulette could be fitted on a 15/30hp chassis (speed @ 1000 rpm / maximum speed), for example. In 1982, the Duke of Argyll launched a new sports car in the grounds of Inveraray Castle. 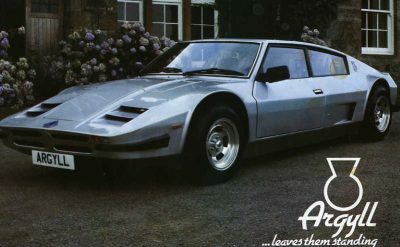 It was built by Bob Henderson and Argyll Turbo Cars at Lochgilphead, and went into series production six years later, but few were made. Development costs amounted to £250,000. The structure is a combination of box-section chassis and tubular space-frame: by undoing 10 bolts, the entire rear end, suspension, gearbox and Rover V8 engine come away. Its top speed is 130 miles per hour. The new car was named after the original Argyll, in honour of a grandfather of one of the investors who worked in the Argyll factory at Alexandria. The car is designed to last – it has a glass-fibre body made next door to the old Arrol-Johnston factory in Dumfries by Solway Marine. The Arrol-Johnston was built by George Johnston in Glasgow, these were some of the first cars ever built in the world. 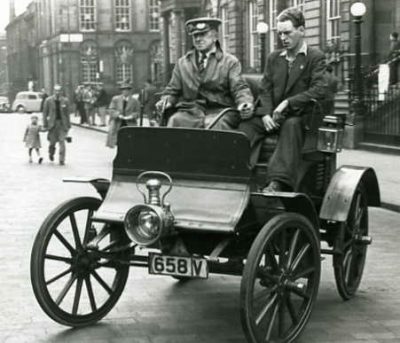 George Johnston was prosecuted and fined in 1896 for driving his car in St Enoch’s Square in Glasgow – when cars in Scotland were still considered to be steam locomotives. The story was told in the BBC Scotland programme “For The Man of Moderate Means” The company prospered and in 1912 built Britain’s first large ferro-concrete factory, to the Kahn, principles in Dumfries, it still stands today. A-J produced what was then the famous 15.9 car and soon became Britain’s fifth largest car producer. But the company failed in 1929 to the more mass produced cars made in the English Midlands by William Morris. An AC 3000 made in 1982 near Glasgow in series production. AC stands for Autocarriers from the early company name. Their most famous model was the Cobra, which later became an American muscle car. The AC Company had a long history of car making and a final AC the 3000ME was made after the Cobra ceased production in 1973. Initially built at the Thames Ditton Factory, 100 were made from 1979 onwards. Production was transferred to Hillington, near Glasgow in 1984, when AC Scotland was formed. Thirty-four more were built here, and they were probably the last production cars in Scotland. With a 3-litre V6 Ford engine imported from Africa, the car cost £13,881 in 1984. We believe there are 4 ACs still running in Scotland. 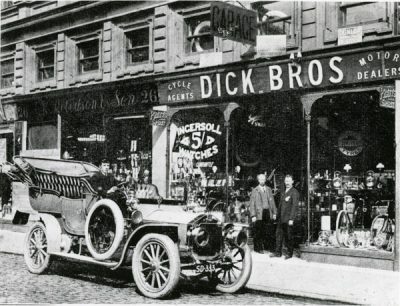 Albion were famous for producing commercial vehicles first in the Borders and then in Glasgow – the then self styled “Engineering Centre of the World” Their early cars were renown for their reliability and their speed. They ceased car production in 1912 with this model – a shrewd move. They then concentrated on the less “fashion conscious” lorry market and became world famous. The Albion company eventually moved to Bathgate, but was absorbed into British Leyland in the 70s – it is still in existence now producing axles. The Galloway was an off-shoot of the Arrol-Johnston Company. It produced a small economical model – made, it was claimed, “by Ladies for Ladies”. The daughter of the Managing Director of the parent company was in charge, she rallied the cars extensively. Their factory was in nearby Tongland – it is still standing. It was called during the First World War a “University for Women Engineers” here aero-engines were made. 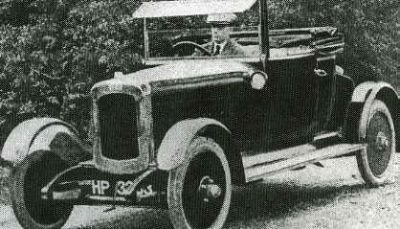 The Galloway car, was based on the famous Fiat 501 it was a better copy but was more expensive and the factory closed in 1925. In the 1970s, there was an interest in cheap, fun vehicles such as the Bond. 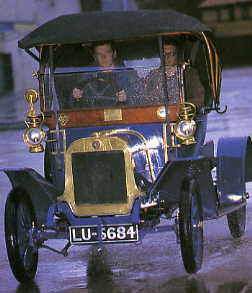 To fulfil the demand, several manufacturers produced ‘sand buggies’. However, they were not generally produced in large quantities (as in this example, which is believed to be the last survivor of only forty). 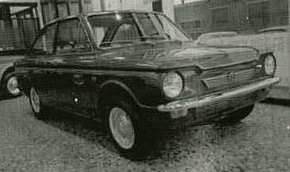 Cars of this type were usually delivered in kit form. This enabled the buyer to spread the cost and customise their car. The Parabug was based on the running gear (i.e. chassis and 1200cc engine etc.) of a 1961 Volkswagen Beetle. 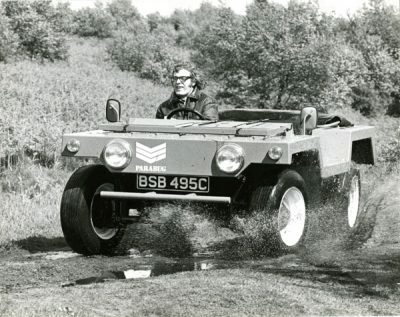 It was designed as an off-road car with an open glass-fibre body and soft roof, and was manufactured by the Aberglen Company in Aberdeen. The last Parabug in existence was discovered and restored by the Trust and is now in running order and on display at the Grampian Transport Museum. Forrestburn Hill Climb where it beat a Mini in a timed run. The JP is now on display, in the main hall, at the National Museum of Scotland in Chambers Street, Edinburgh. 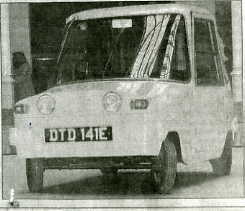 This electric car was developed by Scottish Aviation in Prestwick with finance from the Electricity Council. It was designed when the small car was at the height of its popularity, and was intended for shoppers. It has a top speed of 35 miles per hour with a 20-mile range between charges. Although demonstrated by Stirling Moss with some success, the Scamp could not match conventional cars. The batteries did not last long enough, and the Electricity Council insisted that the car be tested by the Motor Industry Research Association. The suspension collapsed during the tests, so the Electricity Council claimed that the car was not roadworthy and was therefore unfit for their showrooms. After 12 were made, they withdrew from the development and Scottish Aviation abandoned the project. A Scamp is now on display at the Argyll Motor Works – in the magnificent entrance halls. When the Chrysler Sunbeam was rushed into production at the Linwood plant, it was an obvious candidate for Chrysler’s Competitions Department. None however, could be made available, so the competitions manager persuaded the local Linwood development department to build him a competition car out of normal working hours. 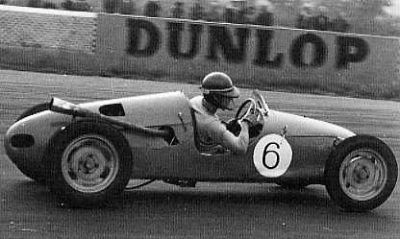 Their Avenger’s running gear was retained in the new car and it seemed an ideal successor to the all-conquering BRM engined Tiger Avenger. A more powerful, specially tuned 230bhp Lotus engine was used. 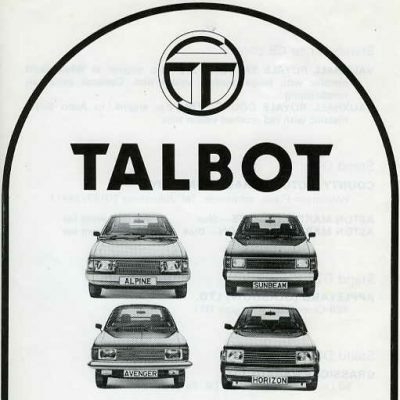 By now, Chrysler had been taken over by Peugeot who badged the car as a Talbot. In 1981, the car won the World Rally Championship for all car makes. In 1982 the year production ended after only 2308 had been made. The late 1920s marked the start of leisure motoring in Scotland. One way to enjoy the beautiful Scottish countryside was by caravan. Caravans were usually hired out by the week – Dan Thomson’s Trailer Caravans of Falkirk being the most popular. Hire prices ranged from £2-10/- (£2.50) per week, with purchase prices from £65. Advertising claimed that Thomson Trailers were so light that there was little extra to be spent during a tour on petrol or oil, and that they could be pulled by a seven-horse-power car. Thomson’s fitted the trailer bar to the car. 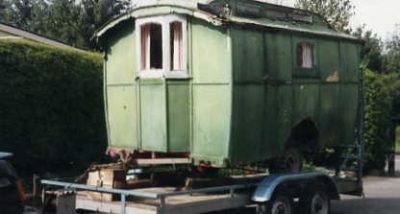 This caravan has been dated to 1931, and the ornate scrolls over the end window and door have identified it as a Thomson. It has always been kept in Scotland, being relegated for use as a garden shed after the Second World War. It was restored in 1982. It was restored in 1982 by the Trust and is now used as an educational resource touring the country.